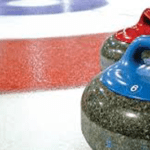 The Amherst Curling Club will be hosting the Nova Scotia Woman’s Curling Club Provincial Championship Feb 28 to Mar 3, 2019. 9 teams will be starting the triple knock-out competition at 2:00 PM Thursday with 3 draws each day until the Final game at 2:00 PM on Sunday afternoon.The winner of this event will represent Nova Scotia at the National Championship in November 2019. The Teams are from New Glasgow, Truro, Halifax (3), Dartmouth, Windsor, Sydney and Amherst. The Amherst team is made up of Skip Kathleen Trites, 3rd Tiffany Cuthbert, 2nd Lisa Gilbert and lead Wendy Graham. 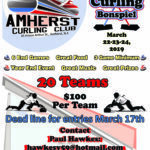 The public is welcome to come to the Club at 45 Prince Arthur St. and watch some great curling. You can also follow along online through the NSCA Scoreboard.